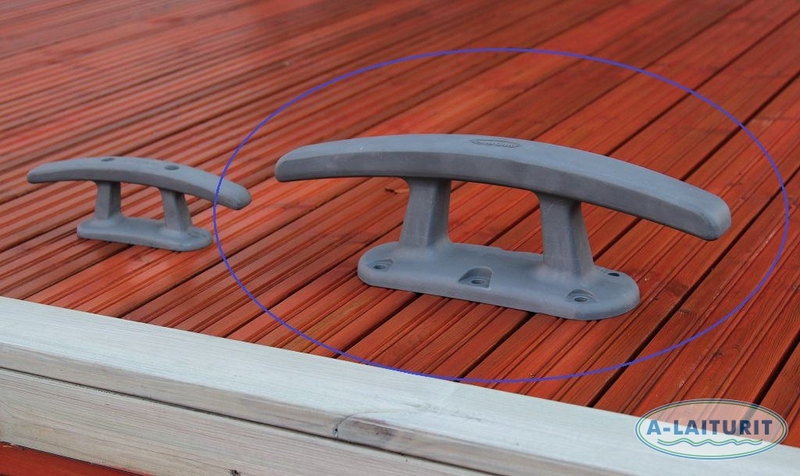 The Arch Cleat, Mega is an especially strong aluminium cleat, intended as a mooring point for large boats. 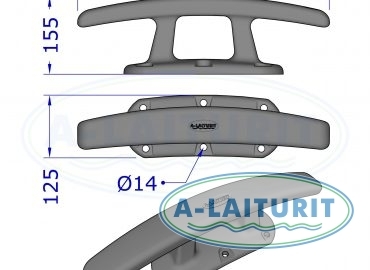 If the boat is moored sideways parallel to the dock it should be fastened to at least three cleats, whereas if one end of the boat is attached to a buoy or a boat boom, a minimum of two cleats are needed. 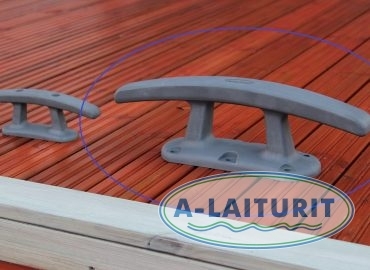 We recommend the use of so-called rubber springs for the mooring rope. 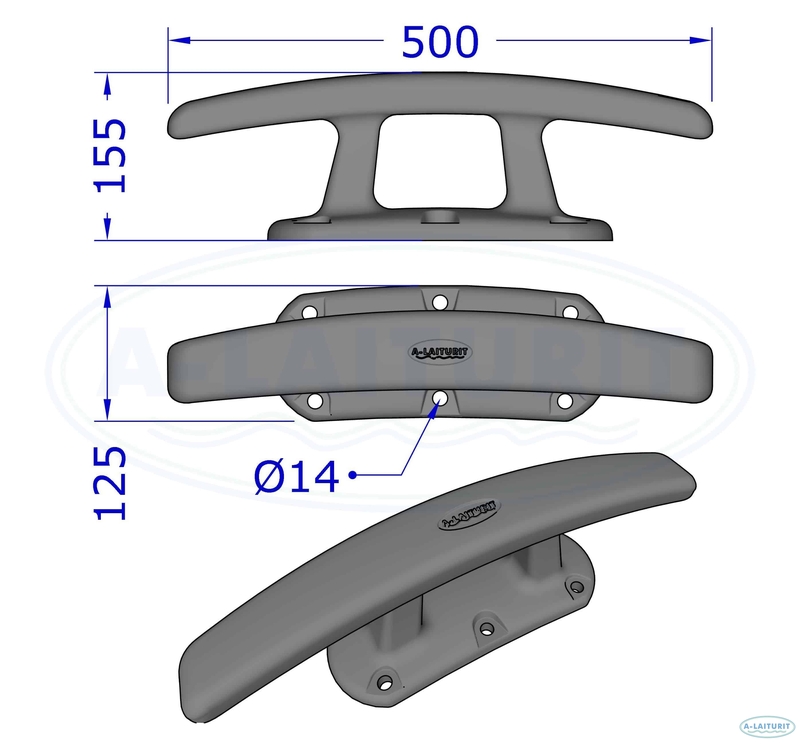 Size: 520 mm x 120 mm x 160 mm, weight 6 kg. Fasteners not included.